Steam is a critical ingredient in all kinds of industrial processes. Properly functioning steam traps discharge condensate and air from a steam system without losing steam in the process. However, a faulty steam trap can cause condensate to collect in the system producing all manner of problems. To avoid failure, steam traps need to be inspected regularly. 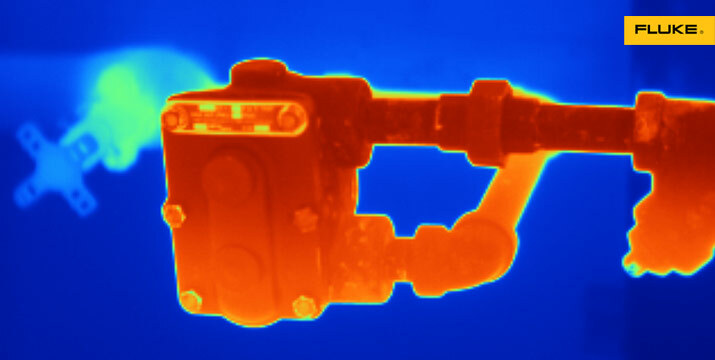 Infrared cameras are a great tool for this because you can scan every part of the steam system from a distance. Scan steam heat exchangers and transmission lines for blockages. Scan underground steam lines for leaks. And scan boilers (especially their refractories and insulation) and process equipment for any anomalies. It's good practice to inspect traps and all other key steam-system components at least annually, and larger and critical traps more frequently.